These days anything can pass for fashion especially when it is worn by celebrities. Celebrities like to think of themselves as trendsetters, which is true in most cases as we all like to copy our favorite celebrities. However beware people, sometimes you can make a laughing stock of yourself if you go wearing everything that these celebs deem fashionable. 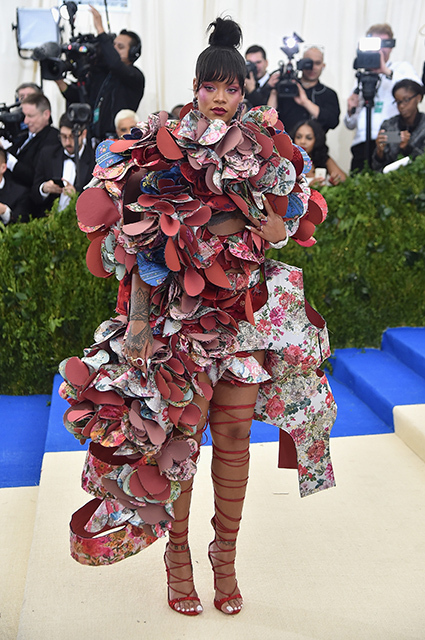 Today’s post is quite hilarious in which celebrities decided to experiment with fashion by wearing these “things” and we seriously don’t know what they are wearing. So scroll down peeps and enjoy these famous people making a joke of themselves wearing these hilarious dresses. 2 Are pets allowed inside? 10 Was this the trending in 2003? Don't think so. 11 How's she even walking in that thing? 19 Is there a party in the U S A?? 20 Shining pearls always get the spotlight. Especially if they're shedding light on how dumb your choice in clothing is.